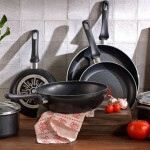 You can prevent stains and discoloration of cookware by handling your pots and pans with a little care, however, if you find yourself in an impossible situation where despite all the efforts you have no idea how to clean cookware the way you want it, here are some conventional tips for cleaning different types of cookware. Aluminum is an easy to handle material. 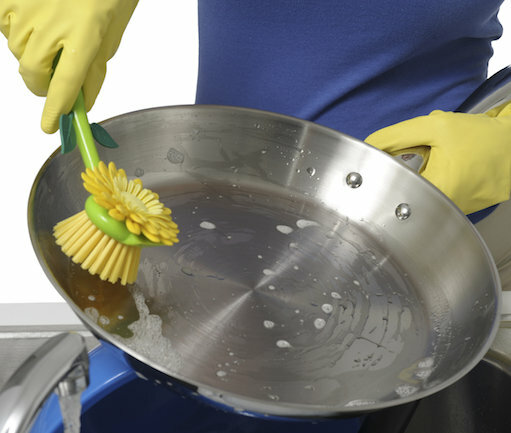 To clean stains off the aluminum cookware, use an aluminum foil and use it as a scrubbing material for pots. To make a strong dishwasher powder at home, add 2 tablespoons of baking soda to any dishwasher you use. It will cut through the grease, and will work as sharp as a knife. Cast iron cooked food is always delicious. Cleaning cast iron cookware, however, can be a messy business. For easier and effective cleansing of cast iron, pour club soda in lukewarm water. The bubbles will remove the stickiness and food stains present on the cookware. The most common problem with aluminum pots is discoloration. If you want to retain the spark in your aluminum pots, prepare a mixture of tartar cream and dissolve it in a 1 litre of water. Bring this mixture to a boiling point within the same pot that you are trying to clean. This is an effective cleaning treatment for grease. Did you know that fabric softeners are as effective against food stains on cookware as a dishwasher? Soak your burnt cookware in a fabric softener liquid mixture. Leave this for an hour. 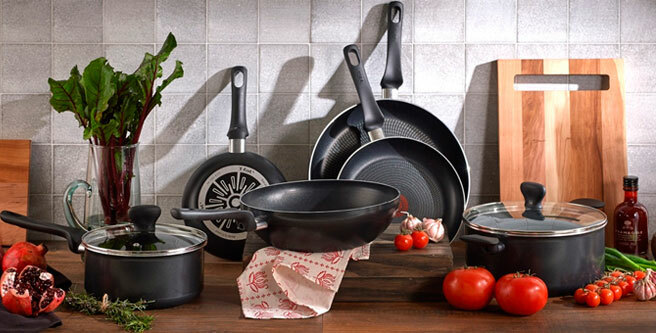 Cleanse your cookware and you will see how easily the burnt food is swiped clean from your cookware. A little chemistry may be useful in cleansing of your pans. If you have a burned food in the cookware, leave the pan/pot in the freezer for more than an hour. Once the temperature reaches a freezing point, remove the burned food using a scrub. Baking stains are terrible. Chances are, you have tried everything to get rid of these stains. Now use this method: Put your gloves on and cover your cookware with an oven clean. Now wrap it around in a garbage bag, tight enough to not leave any air passages. Leave it overnight. Remove the cookware from the garbage bag in the morning and wash it with vinegar mixed water. Salt is a famous kitchen ingredient used to clean enamel pans with burn stains. Let your cookware rest in salt water for a couple of hours. For effective results, boil the same water in the pan. The food stains will easily disappear. Stains of burnt milk are often the most difficult to remove. Salt on the other hand makes it easier. Sprinkle salt on the stains, let it stay for ten minutes and then give your pan a nice scrub. The salt also removes odor of burnt milk. Grease is another difficult cooking ingredient to clean. Greasing on iron pans is pretty difficult to clean. But if you add salt in your dishwasher you can easily remove the grease. Adding vinegar and salt together makes the solution even more effective.